Rice-fish systems are common in many South and Southeast Asian countries. A week-long visit to Bangladesh by a delegation from Cambodia offered participants the opportunity to share challenges and successes around these systems. Rice-fish systems are common in many South and Southeast Asian countries as well as some areas of Africa. The systems are diverse, spanning capture fisheries and aquaculture, with fish and rice growing concurrently in rice fields and canals or, alternatively, fish raised between rice crops. FISH has developed several approaches to increase fish production and productivity in rice-fish systems, notably in Bangladesh and Cambodia, both FISH focal countries. 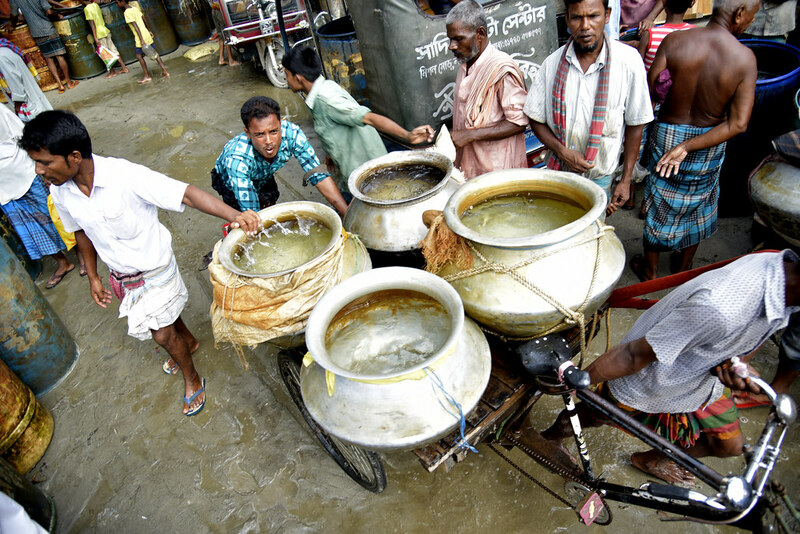 In Bangladesh, where estimates suggest that the country’s potential rice-fish production system encompasses 2–3 million hectares of land, culturing carp species and mola, a micronutrient-rich small indigenous fish, in homestead ponds connected to rice fields led to a 3.5-fold increase in total fish production compared to stand-alone ponds. In Cambodia, improved governance and management of community fish refuges—natural or human-made ponds that hold water throughout the year and provide a dry season sanctuary for brood fish—has led to higher production and fish species diversity in the surrounding flooded rice fields. Rice-fish systems are a vital source of food in both these countries. Yet despite similarities in dietary patterns, there are several differences when it comes to fish production. These include stocking practices, the mortality rate of fingerlings, and the management of and access to natural resources. Sharing and learning from these similarities and differences was behind a recent study tour to Bangladesh. 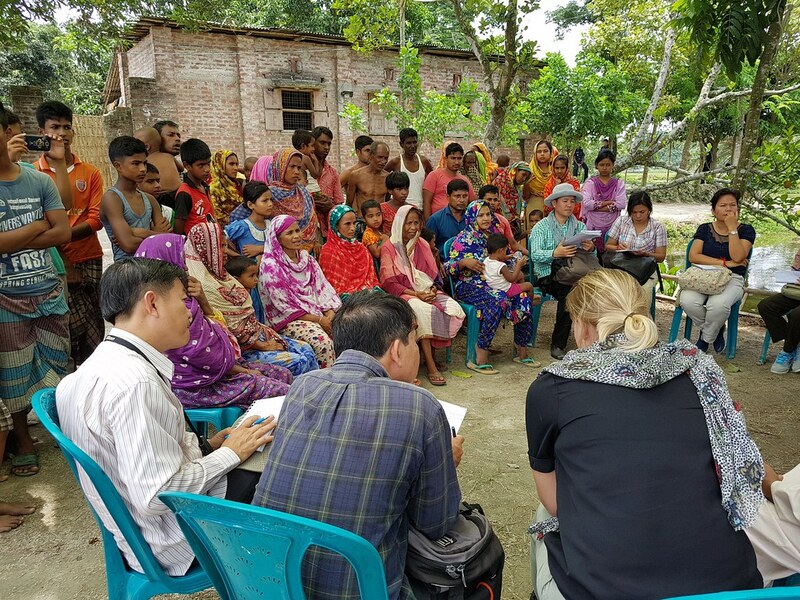 Over the course of a week, a 13-person delegation of WorldFish employees, partners and government representatives from Cambodia travelled to former project sites in Rangpur in northern Bangladesh and Rajshahi in the west. The study tour was part of the EU- and IFAD-funded project Managing Aquatic Agricultural Systems to Improve Nutrition and Livelihoods in Cambodia (2016–2019). This is in turn a component of the global project Managing Aquatic Agricultural Systems to Improve Nutrition and Livelihoods in Selected Asian and African Countries: Scaling up Learning from IFAD-WorldFish Collaboration in Bangladesh, which is being implemented in Cambodia, Indonesia, Thailand and Zambia. On the first day in the field, the group visited Palashi village in Lalmonirhat District, where thousands of farmers are involved in fish seed (mainly carp) production in rice fields partially converted to ponds. Farmers sell approximately 40 percent of their fingerlings directly at their plot sites and the other 60 percent—around 20,000–30,000 kg a day—at the nearby market at Kakina Bazar. Net profits from fingerlings are twice as high as rice, according to Dr. Benoy Barman, Senior Scientist, WorldFish Bangladesh, who was involved in introducing the ponds as part of the WorldFish-led project Improving Quality Fish Seed Production (2002–2006). The fingerlings are large when sold—at least 10–20 grams—and have a low mortality rate compared to Cambodia. The farmers partly attribute this to the weekly hardening technique of netting and gently agitating the fingerlings in the water before releasing them. The group also saw potential in the transportation of fingerlings from the market in large open patils (aluminum pots) rather than plastic bags or other closed containers, as is the case in Cambodia. Instead of an oxygen supply, which can add to the transportation costs, the water in the patil is kept aerated by lightly tapping the water’s surface. On day two, the group travelled to Parbatipur to see carp-mola polyculture in small homestead ponds. This technology has been found to increase overall production and can provide extra household income through the sale of crop surpluses. In addition, mola, which is consumed whole, has important nutritional benefits. These are supported by women and men lead farmers (LFs) who promote the regular consumption of mola. Cooked and formed into a paste, the mola are added to khichuri, a rice, lentil and vegetable dish, and fed to young children to help combat undernutrition during the first 1000 days of life. The LFs, who can each supervise more than 20 farmers, were selected by the community and received a five-day training on mola processing through the EU-funded Small Fish and Nutrition Project (2011–2013). “The Department of Fisheries was the only partner in that project. It was involved in all the training sessions at the time. 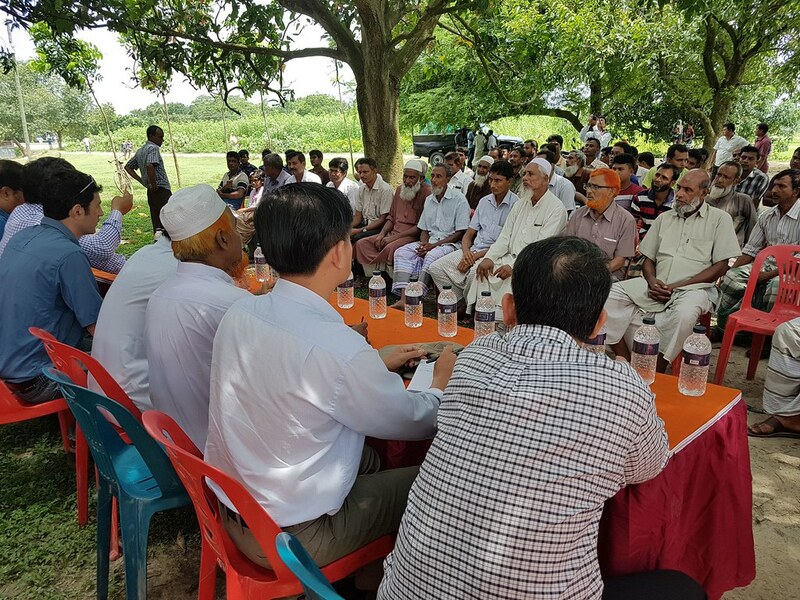 It is still actively engaged with lead farmers, four years after the project ended. This kind of institutional support is essential if project interventions are to have a lasting impact,” said Dr. Barman. After driving to Rajshahi on day three, day four took the group to Khosal beel, a privately owned seasonal floodplain. Beels are suitable for growing fish and other aquatic animals for up to six months of the year. During the dry months, the land is used by individual land owners to cultivate rice. Involving around 91 households from four communities, Khosal beel is managed using the community-based fish culture (CBFC) model. Originally developed in Bangladesh, the CBFC model has been disseminated to other countries with extensive floodplain resources, including Cambodia. However, whereas Cambodia’s rice field fisheries are open access during the wet season and rely on wild fish, Bangladesh’s beels focus on cultured species and little is done to enhance wild species that can have important economic and nutritional value. Beel access is limited to community members who have invested their resources in fish culture, and financial benefits are shared among members and rice field owners.